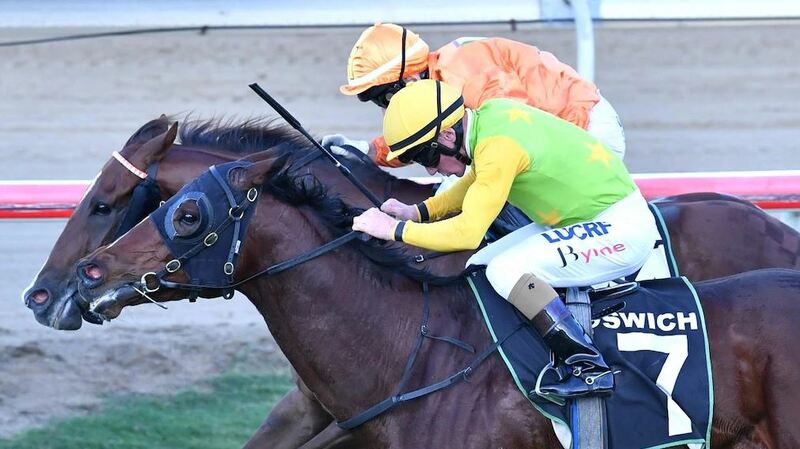 The Sun Stud sired I’m A Rippa won the Listed Eye Liner Stakes in courageous fashion at Ipswich on Saturday giving Love Conquers All his first (but likely not last) million dollar earner. The Tony Gollan trained gelding has now banked a lucrative Magic Millions raceday win a Group 3 victory last month and now the feature Ipswich sprint. I’m A Rippa has built a cult following in Queensland owing to his lead-from-the-front style, and the talented galloper has delivered again on the big stage for his supporters. Gollan purchased the son of Love Conquers All for $55,000 at the 2015 Magic Million Gold Coast March Yearling Sale. Obviously impressed with the talent of I’m A Rippa, Gollan also bought his yearling full brother for $80,000 at this year’s January sale. I’m A Rippa joins multiple Group 2 winner Savanna Amour as recent stakes winners for the Sun Stud stallion who has relocated to Victoria this year for the stud. Savannah Amour is hoping to bring up a first Group 1 win for the sire when she competes in Saturday’s Group 1 Tatt’s Tiara over 1350 metres at Doomben. “Love Conquers All is doing a remarkable job considering his initials crops contained just 58 and 59 live foals (with the next two crops having in excess of 110 foals),” Sun Stud’s Adam Henry said. “He has 76% winners to runners and 9% stakes winners to runners from his first crop. A Champion Australian First Season Sire by winners, and Champion Queensland Second Season Sire, the continued success of Love Conquers All is excellent news for Victorian breeders, standing at a fee of only $8,800 inc GST in 2018.